Amber is a recent addition to our practice. She joined in 2011, and we feel incredibly fortunate to have her encouraging spirit with us. She was first introduced to our practice through an externship as a Concorde Career College Student. Amber is a Registered and Certified Dental Assistant who provides all patients with the best care possible. Whether she is working on procedures, taking X-rays, seating patients, or processing instruments, Amber is a real people person. All patients are sure to feel listened to and as if their dental needs are being met. Amber is a big fan of the great outdoors. She enjoys spending her time out of the office doing as much as she can outside. 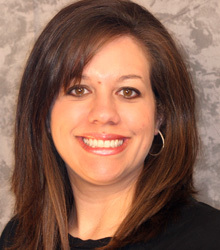 Ashley has worked at our office as a Registered Dental Assistant since 2004. 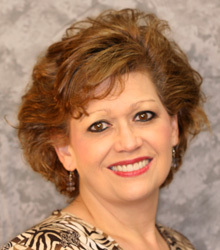 She holds a State of Tennessee License in Dental Assisting, Radiology, and Nitrous Monitoring. In 2010, Ashley took over as our office manager, and she now handles treatment options, appointments, finances, and insurance. Her experience in the field helps her raise the level of care our patients receive. She still uses her skills at chairside while assisting Dr. Bell with patient procedures. We truly value Ashley for her smile and ability to make others feel welcome. She loves being able to help patients and will bend over backwards to see that their dental needs are met. Ashley is happily married. She has two wonderful children and a Weimaraner. Ashley loves spending as much time as possible with her family. She is also very active in her church and enjoys boating and vacationing. 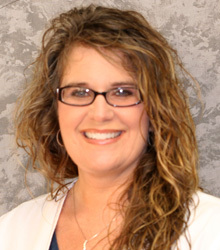 Julie first discovered her love for dentistry in 1992 while she was a student at McNairy County High School. She was given the great opportunity to shadow at Dr. Bell's office and did so well that we gladly hired her as a full-time assistant in 1994. Julie has great personal skills and works very hard to make each patient feel comfortable and at ease. She is currently a Registered Dental Assistant, holding a State of Tennessee License in Radiology, Coronal Polishing, and Nitrous Monitoring. Julie assists Dr. Bell at chairside and is known as the “lab queen” around the office. She is a real team player and can even be found up in the front office helping out at times. Julie enjoys spending her free time with her large family. She has four children, four grandchildren, two basset hounds, and two cats. She also likes to go antiquing, especially when there are old cars to be found. Tammy was hooked on dentistry from her first day at Dr. Bell's office, when she was still a student at McNairy County High School. She began working for our office part-time in 1981, while attending school to become a dental hygienist, and gladly joined our team full-time in 1989. She is responsible for providing comprehensive oral hygiene care and educating patients to make good progress during treatments. Tammy understands all about the anxieties people bring with them to the dentist. She takes great care to relax and comfort each patient by providing gentle and thorough cleanings. Patients find no reason to fear Tammy's work; in fact, they often come to enjoy and look forward to their visits. Tammy was born and raised in Selmer. She loves it here! Tammy is happily married and has three teenagers and a Chihuahua named Jax. They all keep Tammy very busy.